Whether it’s for your home, business, or home business, you’ve likely become somewhat acquainted with the people who deliver your documents and packages. But who are they, and what do they do? Well, that person delivering your documents and parcels is likely working for a courier service. They use a variety of vehicles to ensure everything is delivered dependably and safely. The typical courier works full time during regular business hours. However, many will also work during the evenings and on the weekends. This is because many individuals and businesses have delivery needs during non-business hours and courier service is often the best way to accommodate these delivery needs. These are all things most people know about the typical courier. 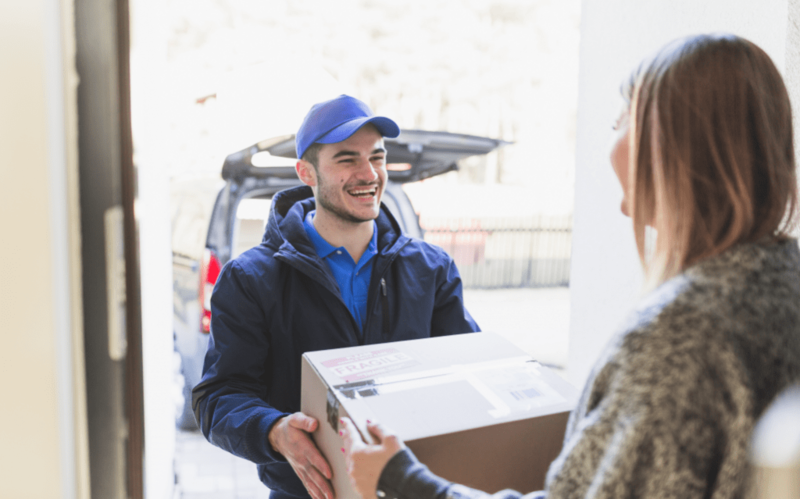 This article serves to explore a list of information about couriers to let you become better acquainted with the services they offer. In addition to learning about what a courier does and how they can serve you, you’ll also learn what their typical day looks like, and what a typical courier fleet looks like. A courier will provide service from door-to-door for a wide variety of clients. In addition to home businesses and corporate businesses, a courier service will also work for law offices, hospitals, and banks. Courier services typically specialize in local deliveries in large, urban areas and cities. Some of the packages they deliver could range from documents to large parcels. They pick up items and deliver them. They verify the delivery info. They load the items onto their vehicle. They use the most efficient routes to reach their destination. They collect payments and signatures from clients. Also, a courier will usually receive instructions for their deliveries either in-person, by cell phone, or by two-way radio. Once they receive their instructions, the courier will plan the most efficient route possible to quickly transport the deliverables to the final destination. While many services specialize in delivering documents only for law offices, hospitals, or financial institutions, a lot of couriers will also deliver items for any individual or business. It primarily depends on the courier service and whether or not they’ve narrowed in on a particular niche of clients. Every day, a courier will walk, ride a bicycle, or drive a vehicle in order to deliver a client’s items in a timely and efficient manner. A courier will even ride public transportation if it provides the most efficient route. A courier will also ensure hazardous items are properly loaded and kept safe during transportation. The primary responsibility for any courier is to correctly sort and unload deliverables that are collected during the day. A courier might start their day meeting with their employer and receiving instructions about predetermined deliveries for the day. These deliveries could either be high-priority deliveries or they could be non-urgent deliveries that require advanced bookings. Once the courier is out for delivery, they’re likely to receive new delivery instructions for new clients. These new clients may be ordering for urgent deliveries and become a top priority for the courier. This means proper couriers have to be good at improvising and be flexible with their plans. A courier might be out delivering an item that has guaranteed delivery within 3 hours of pickup. The courier picked up the item an hour earlier and still has 2 hours to deliver the item. However, a new call comes in with a client paying extra for an urgent package. The courier has to be able to suspend their current delivery in order to pick up and deliver the urgent package. Often enough an urgent package requires pickup within 15 minutes, so a courier needs to be able to quickly consider the best route to pick up the item. While many couriers communicate over phone or radio, a lot of services utilize text and group messaging systems to communicate new delivery instructions. A dependable courier service will deliver a client’s urgent parcels in a routine fashion. For example, some couriers provide clients with a variety of Express services for any extremely urgent parcels. The Critical Express service is the service clients will want to use when they require a package to be immediately delivered. This service guarantees a courier will arrive to pick up the deliverables within 15 minutes. Once the delivery is completed, the courier will call the client to notify them the delivery is complete. If a client needs a package shipped that’s urgent but doesn’t require Critical Express, the VIP Express service will send the first courier vehicle that is available to pick up the package. Next, the deliverables will be sent through direct delivery. A standard Courier delivery service guarantees a package is delivered within an hour after pickup. Meanwhile, Budget and Bus Round couriers save clients some money on deliverables that are not as urgent. The Budget service ensures a client’s parcels are delivered within 3 hours after pickup. The Bus Round service is used for clients who want to save even more money on packages that are extremely non-urgent. Courier services use a local courier fleet in order to best serve their clients with dependable deliveries. Some of the larger services will offer up to or more than 100 courier vehicles to serve their clients. This does not mean the service will have 100 delivery trucks or 100 bicycles. Instead, the fleet will be comprised of a wide variety of vehicles. Trained, professional couriers will man the vehicles. These vehicles could range from bicycles and motorcycles to small cars, 1-tonne vans, and 1 to 8-tonne tray tops. Each of these vehicle types is utilized in a manner to best meet a client’s delivery needs. If the client requires an urgent delivery of documents to a nearby place, the bicycle or motorcycle may be the ideal vehicle for a courier to use for the delivery. Meanwhile, a large delivery weighing over 100 kg will require one of the vans or tray tops. A proper courier service offers the necessary vehicles for any of their client’s delivery needs.